You’ve probably heard that secondhand smoke is just as dangerous as smoking the cigarette yourself. But studies now show the smoke from a burning end of a cigarette may contain more harmful substances than the smoke inhaled by the smoker. Worse yet, for children with asthma, it can be even more detrimental to their health. Cigarette smoke contains more than 7,000 chemicals, including hundreds that are toxic. 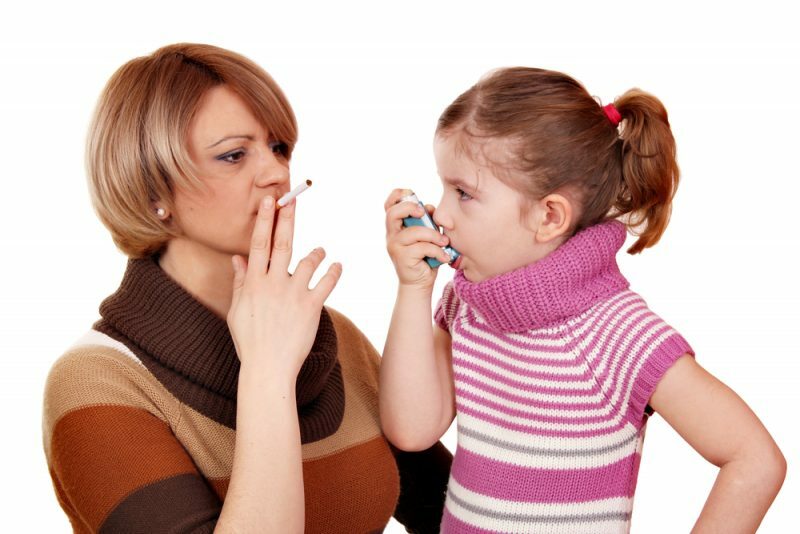 When inhaled by a child with asthma, irritating substances in cigarette smoke settle in the moist lining of the airways. This serves as a powerful asthma trigger by increasing inflammation in the lungs and causing constriction in the small airways. Since a child’s airways are smaller than an adult’s, smoke affects them more quickly, making them more likely to wheeze, cough and have shortness of breath — especially when they have asthma. The smoke also damages the tiny hair-like structures in the airways called cilia. Since the cilia sweep dust and mucus out of the airways, these substances can accumulate when they are damaged, leading to a potential asthma attack. In addition, it can make kids with asthma more likely to develop sinus and lung infections, which can worsen their symptoms. These factors can lead to problems with lung function later in life. Surprisingly, thirdhand smoke also can pose a danger to kids with asthma. Cigarette smoke can be absorbed into upholstery, clothing and carpeting that can’t be washed away with soap and water. So the next time you’re thinking about lighting up, snuff it out. Avoid restaurants and other public places that allow smoking. It’s worth it. Your child’s health is at risk.